Game development hint: if you’re going to place your game in a real setting, make it an island paradise. That way you can claim a holiday on company expenses. I’ll bet the developers of this officially supported mod have spent the last six months laughing it up in the Pacific while they brought Iwo Jima into Red Orchestra 2′s chilly war. The Rising Storm team are suntanned and well-rested, and celebrating their jaunt with the dramatic trailer of their work we present below. Red Orchestra 2 SDK at night, modders delight.> THAT should have been my headline, but alas it did not fit. Tripwire explain that these tools are now available to everyone who owns the game: “While the limited functionality preview versions of the SDK have been available to select modders for a while, this release now makes the full capabilities of the Mod SDK available to everyone. Users can now make and publish everything from simple mods and mutators, through custom maps and on to full total conversion mods.” The chaps at Tripwire also point out that there are already some mods in progress with the pre-release SDK: Rising Storm, In Country Vietnam, and Iron Europe. Red Orchestra 2: Heroes of Stalingrad is now a game you can play. If you buy it. Which you now can. This is the standard of journalism you get from me after 1am. Far better to ignore me and watch the launch trailer below. Red Orchestra 2: Heroes of Stalingrad – first it had a name, then it had some screenshots, then it had some videos and now it has a release date. And so the cosmic ballet continues. 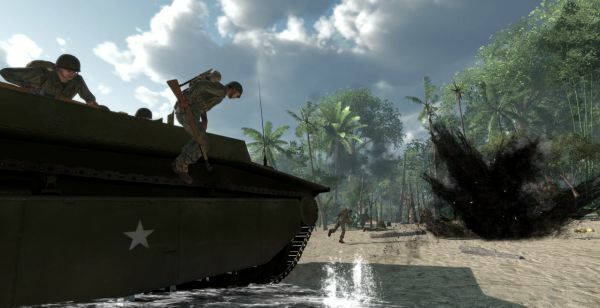 Tripwire’s next commercial take on the masterfully dour World War 2 mod-gone-pro has been in the offing for a good few years, but now? Now it’s only months away. To war, gentlemen. Well, nearly.